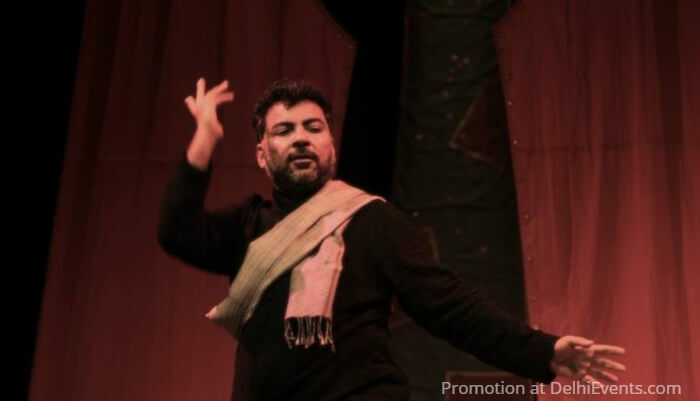 In Qissebaazi, acclaimed actor and dastango Danish Husain will enact the trials and tribulations of the arab hero Amir Hamza in a theatrical narration of Muhammad Husain Jah's Tilism-e-Hoshruba. This will be followed by another tale borrowed from the vast body of ancient sanskrit literature which tells the story of the composition of the Natyashastra and with it, the difficulties that arose when the world's first play was made. Join the Hoshruba Repertory in their exploration of a multilingual storytelling format. In Qissebaazi, the actors will perform dramatic readings in two languages - the original text and a bridge language - so that audiences can enjoy both the cadence of the original story and also be able to access its content.